We underestimate the power of confidence. It’s true that we feel confidence in only those activities in which we are good and feel comfortable. However, the reality is that just by feeling confidence we are able to perform better in any activity as a high level of confidence improves our performance. People who possess a high level of confidence are able to do any activity quite well. We should keep in mind that it’s not natural for us to feel confidence in all kinds of activities. By nature only a level of competence and comfort can make us feel confident in a certain activity. If you are completely unaware about the activity then you will not feel confidence. However, some people are always confident than others. Those people will surprise you with their level of confidence. 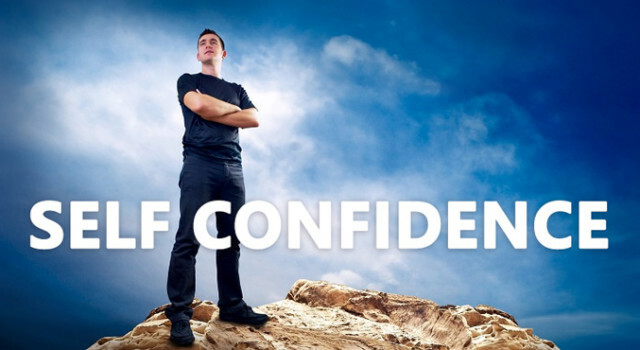 Confident people are able to learn a new activity faster than those lacking self-confidence. Learning a new activity quicker is a sign of higher level of intelligence. It’s generally seen that intelligent people also possess a higher level of confidence. However, we all can increase our level of confidence by just making extra efforts in an activity we want to excel. Even if you don’t possess a higher level of confidence you may work harder towards you goals and in the process you will gain more confidence. The first step to have self-confidence is to love yourself. We must realize that we all have imperfections as we are humans. However, it doesn’t mean that we stop loving ourselves due to small reasons. Most people make an opinion about us without even talking to us. They make a judgment about us based on how we look. In our appearance our clothes matter the most. So, be dressed for the occasion. If you are dressed well then people will take note of you and will give you more importance. When people treat you well you will feel better about yourself, resulting in more self-confidence. If you stand and sit with the right posture then you will feel confident, besides making good impression on people. The way you walk and sit has a great impact on onlookers. They judge you by looking at your posture. Don’t send wrong vibes to people by looking nervous. Look confident and suddenly you will feel confident. If you feel lucky for whatever you have in your life then you will feel good. This will make you feel confident about yourself. On the other hand, if you keep complaining about things you don’t have in life then it will make you feel miserable, resulting in loss of self-confidence. You should celebrate every success of your life. If you feel that you have nothing to celebrate, just look at life with a calm mind. You will realize you must have done many things that would make you feel happy and proud. Those are your successes that need to be celebrated. Working out is a great way to feel confident. When we exercise endorphin releases in our brains which makes us feel good. It also helps us live a longer life. Working out not only makes us feel good but also makes us physically and mentally fit, thus leading to a better life. A healthy mind lives in a healthy body. So, take care of your body. It will also make your mind more alert and sharp.